Do you like Pigbull to the Moon? Share it with your friends. 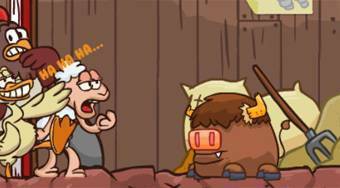 Pigbull to the Moon - help the bull that looks like a piggy to get out of the barn where the other animals make fun of him and get to the Moon.